Special offers for active leisure onboard sailing yacht - Tallinn. Photo session on a luxury yacht! Want new emotions and impressions? 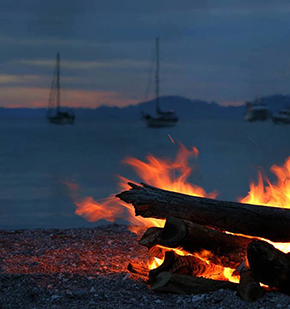 Now anyone can enjoy a sailing trip and relax on board our luxury yachts. This option is perfect as part of a cultural program of the day or as sip of a fresh air after hard day. Explore the romantic silhuette of Tallinn in sunset on a luxury sailing yacht and enjoy an amazing dinner after! Arctic char fillet with stir-fried vegetables and sweet and sour lemon-soy sauce. Japanese-style glazed duck fillet with chickpeas, sweet potato cream, and red wine sauce. There is an amazing tradition of lighting bonfires along the coastline of the Baltic Sea in Estonia every last Saturday of August. The shore of the Baltic Sea, which unites all of us, is a link between our neighbors, fellow-countrymen, and people from all around the Sea. We believe, that The Sea must be well-kept and protected in order for own sake and for the sake of our descendants. So let us support this beautiful tradition and show you, how fascinating it looks from the seaside! This is the opportunity you should not miss, cause this view is unforgettable! NB! A limited number of seats. Make a unique present for your family and friends. Give them full of romance and summer warmth sailing trip on one of our luxury yachts around Tallinn Bay! You can order any sailing trip on any boat from our fleet with minimum duration of 1 hour and any package, for example Tallinn Dinner Cruise or Photo session. If you want, you can also make a present valued any price starting from 30 EUR. A large yacht can accommodate up to 12 people and is ideal for luxurious events. This sailing yacht has 3 large cabins, a spacious lounge and 2 bathrooms with shower and toilet facilities. It is also possible to connect your music with the AUX cable and listen to it on the inside and on the hover deck. How to book? Do you have any additional requests? We adjust the offer according to your wishes! ► 1 hour sailing on a luxury yacht "Beneteau FIRST 50 EST"
???? Are you tired of the city bustle and you want new impressions and romance? ???? We have something to offer you! 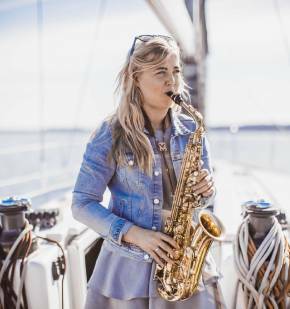 How about a sailing trip on an elegant yacht together with the live accompaniment of a saxophone? ???? How to make an unforgettable moment when you are ready to open your feelings, confess your love to the second half and offer your hand and heart? You need to think over all the details, and most importantly, to choose the original place, because for the girl proposal is one of the most exciting and memorable moments in life. PACKAGE "BIRTHDAY ON A LUXURY YACHT"
In a birthday party, atmosphere is everything – celebrate exquisite day on a luxury yacht. Make your birthday party a memorable one by selecting one of our birthday packages. Bring your friends and family to celebrate your birthday on our luxurious yacht, sipping champagne and cocktails while watching the beautiful sunset is sure to set you up for a great night out! 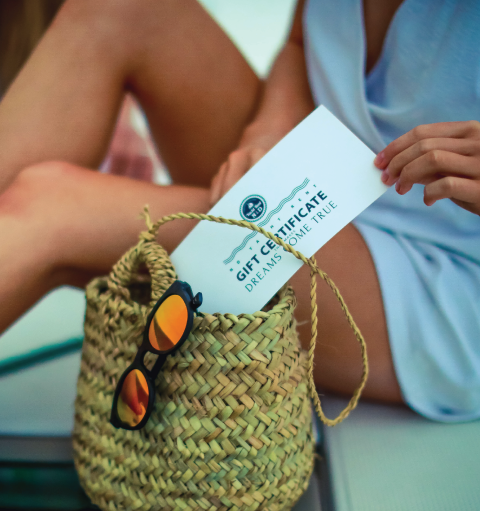 Unforgettable birthday or anniversary on a luxury yacht with friends and family! 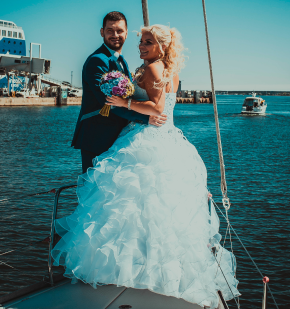 A UNIQUE WEDDING IN TALLINN ON A YACHT! Wedding is the most important day of your life! Celebrate the most precious moments between you and your better half on a luxury yacht. Bring family and friends together to celebrate this special day with drinks, amazing food, music and dancing, while sailing across the bay. The romantic sea and coastline scenery are sure to leave you and your guests with unforgettable memories that will last a lifetime! Price - ONLY 390 EUR! There are only 26 such yachts in the world! The spacious deck accommodates up to 12 people. Inside there are 3 cabins, 2 bathrooms with showers and toilets, as well as a spacious living room with a small kitchen. What could be better than a sailing trip in the beautiful Tallinn Bay with high-quality photo session during the hot summer season! A photo session on a beautiful yacht is a perfect choice for exclusive and unique photographs to your portfolio, family album, commercial advertisement, photo book or Facebook timeline. 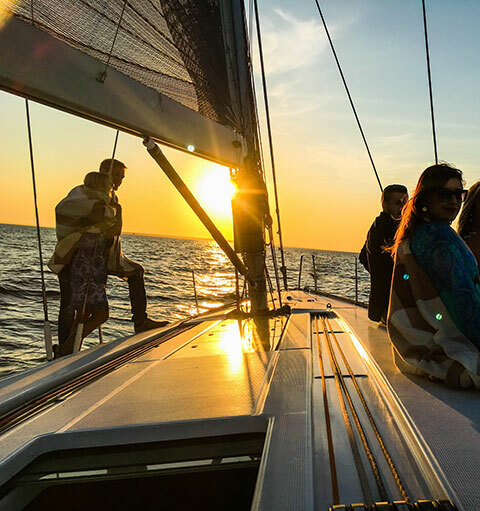 The process of taking pictures will be very natural - enjoy the view and relax on board of a luxury sailing yacht while professional photographer captures exceptional moments of you in action as we sail through Tallinn Bay. 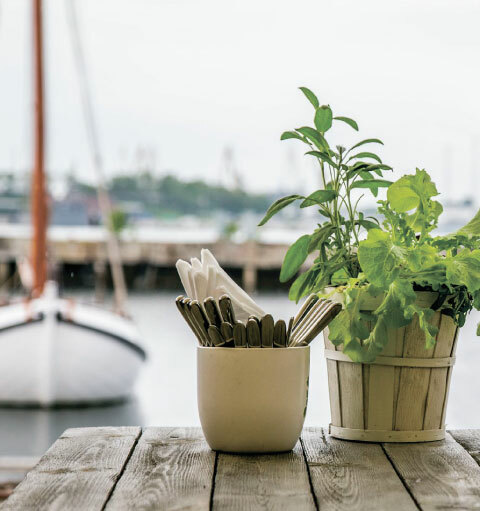 The fascinating panorama of Tallinn Bay is a real source of inspiration for the ideal setting. This exclusive package is perfect for unique photographs on the occasion of weddings, birthday parties, corporate parties, bachelor and hen parties and anniversaries.